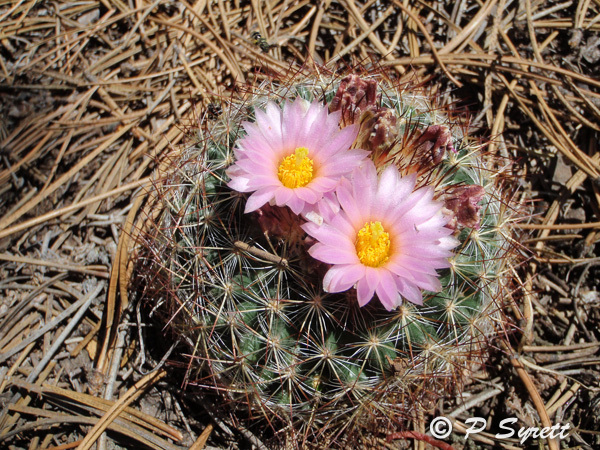 I photographed this beautiful little ball cactus, Escobaria vivipara, in Curt Gowdy State Park, in Wyoming. 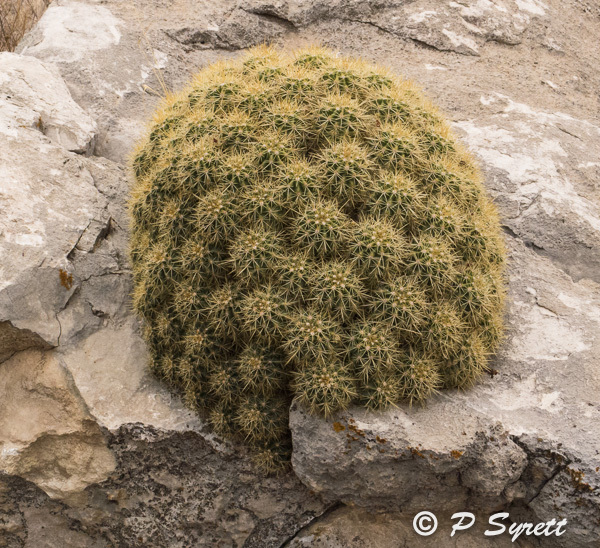 I am very attracted to neat, compact, spherical-shaped cacti that occur singly, or in mounds. 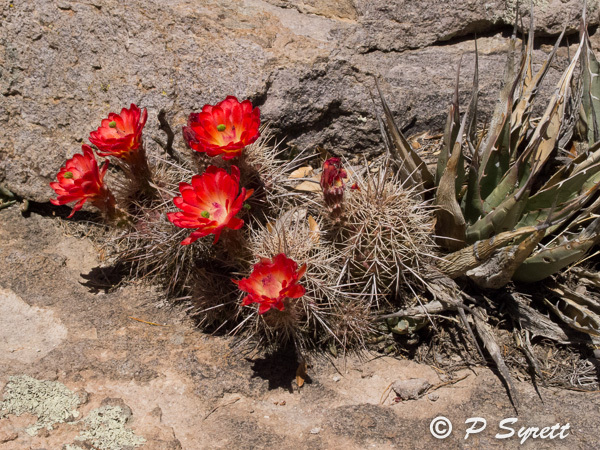 This mound cactus from Dog Canyon in Oliver Lee State Park, New Mexico is a great example that melds into the rock. 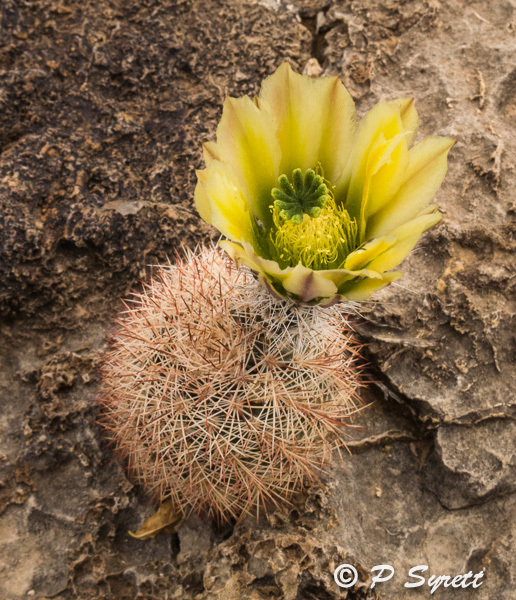 Also from Dog Canyon, this little cactus with the large flower is one I’ve been unable to put a name to. 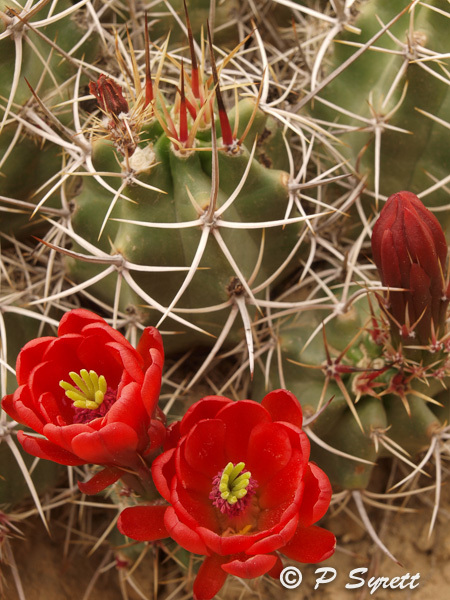 The claret cup cactus, Echinocereus triglochidiatus, is a common and variable species, with beautiful red flowers. 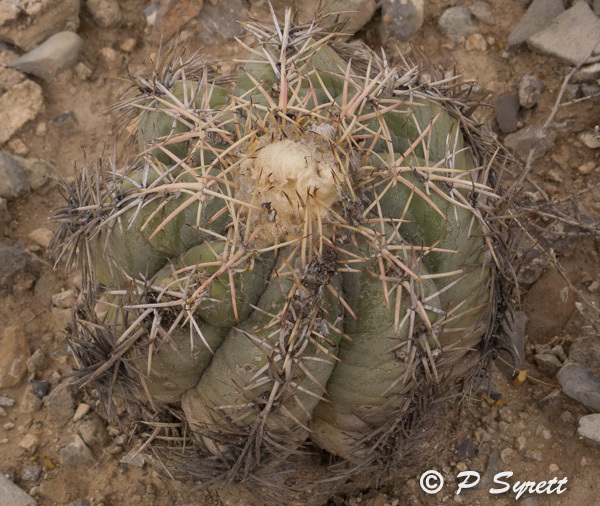 Cacti in this genus are often referred to as hedgehog cacti. The plant in the first photograph is in Chiricahua National Monument, southern Arizona, and the second one is at Chaco Culture in New Mexico. Echinocactus horizonthalonius, or blue barrel cactus, has a profusion of strong, sharp spines, and is relatively inconspicuous. Because of the hazard of inadvertently stepping on a specimen, it is sometimes known as horse crippler. There are many kinds of the well-known prickly pear cactus, and while some, like the beavertail cactus (Opuntia basilaris) are easily identified, others are hard to distinguish. They have beautiful flowers, and with good rainfall a mature plant may produce many flowers. 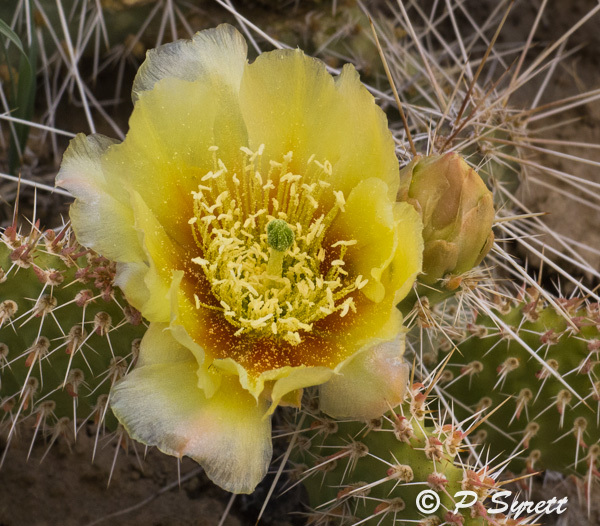 This prickly pear flower was photographed at Chaco Culture. 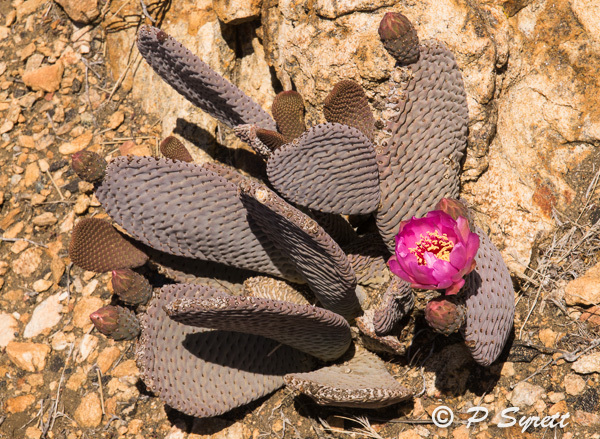 The beavertail cactus plant is on Mt Ryan, in Joshua Tree National Park, CA.